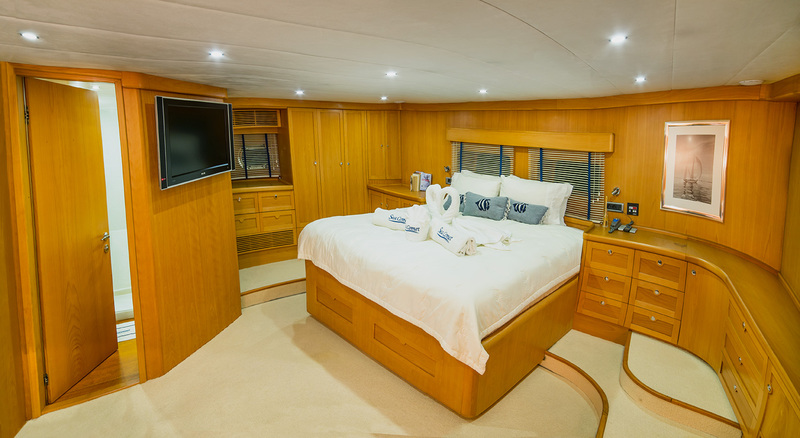 Motor Sailor SEA COMET features a luxurious interior with furniture made of beech, featuring Alcantara ceilings and Mahogany floors. 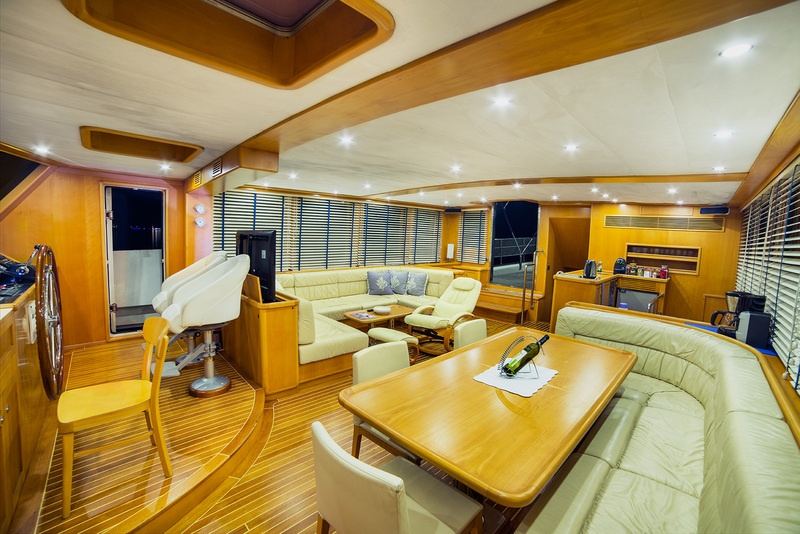 Her open plan salon boasts a large and comfortable U shaped sitting area for 10 guests to starboard, a comfortable U shaped couch with dining table for 10 guests to port. There is a bar to the aft of the salon and the navigation area forward. 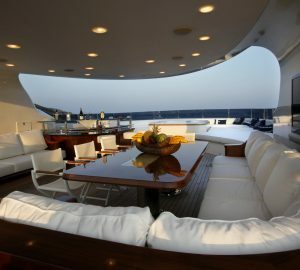 The large windows allow natural light to filter through while her air conditioning keeps charter guests cool during the warm Eastern Mediterranean summer. 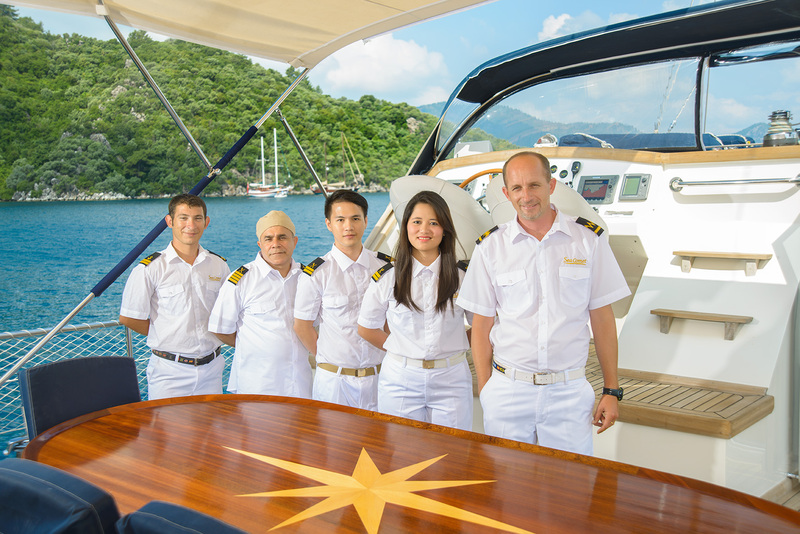 Gulet SEA COMET also boasts the latest entertainment systems including a 42” Plasma TV in the salon. 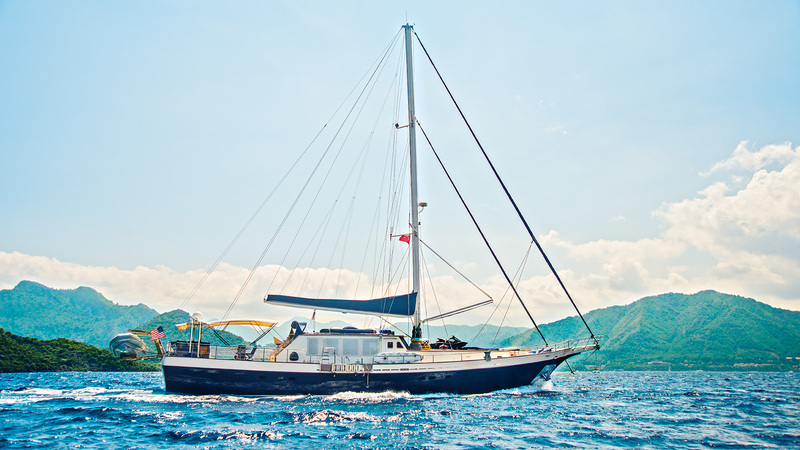 Gulet sailing yacht SEA COMET is able to sleep up to 10 guests in 5 cabins including a Master cabin located forward with a king size bed, mini bar, desk and sofa and a large aft Master cabin with king size bed, mini bar, desk and sofa. 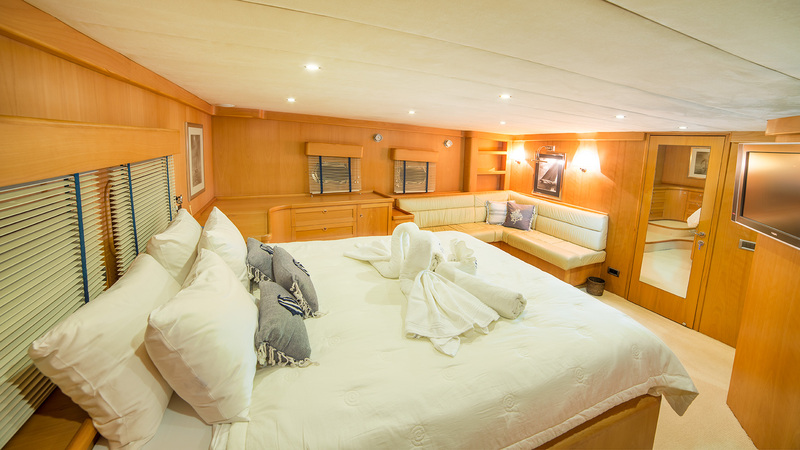 There is a VIP cabin with a Queen sized bed, mini bar and desk, a Twin Guest cabin with two single beds and a Guest cabin with one junior size bed and one single bed. All cabins include en-suite shower and toilet, intercom, SAT phone and PHILIPS entertainment system. 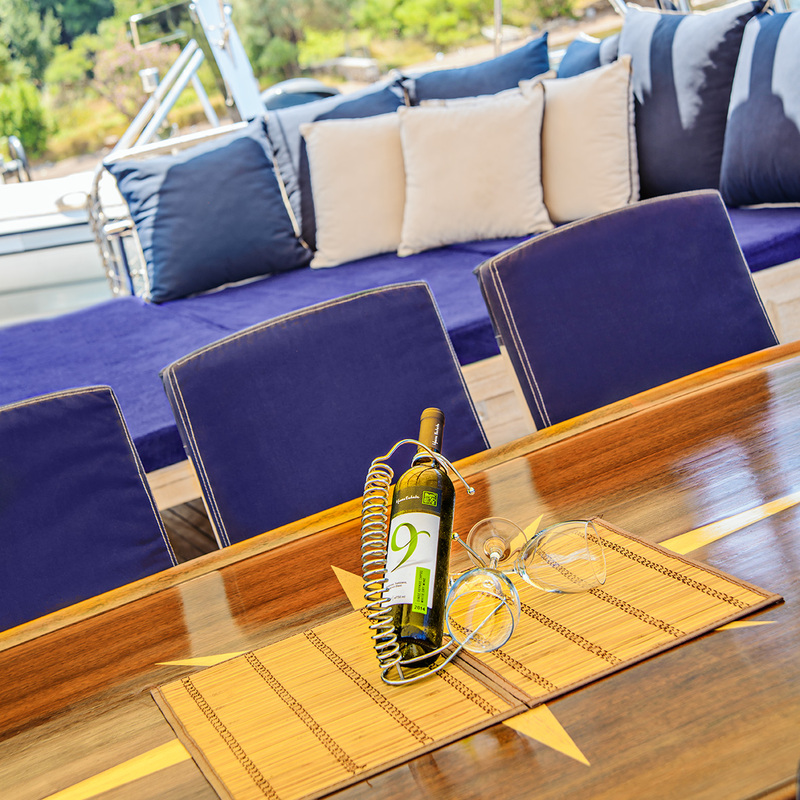 Gullet SEA COMET also boasts a huge sunbathing area on the aft deck that can be covered by a bimini for shade and a large dining table for 10 guests on the aft deck for al fresco meals. There s further space to relax forward, where the tender is also stored. Sailing yacht SEA COMET has an excellent array of water sport toys onboard including a JDingy, wake board, water ski, mono ski, 2 SUP, kayaks, snorkeling, JetSki Seado Spark 2014, SeaBob. 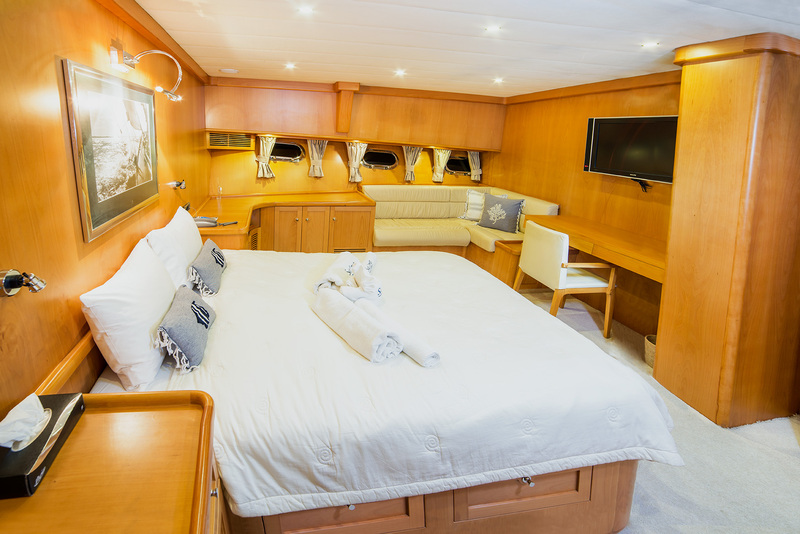 Amenities 24h A/C, TV set and sound system in each cabin, safes, minibar, TV and sound system in the salon, Movie bank, iPad music bank over wifi, exterior sound system and speakers, DVD, sunbeds. Net around yacht, life vests all sizes. 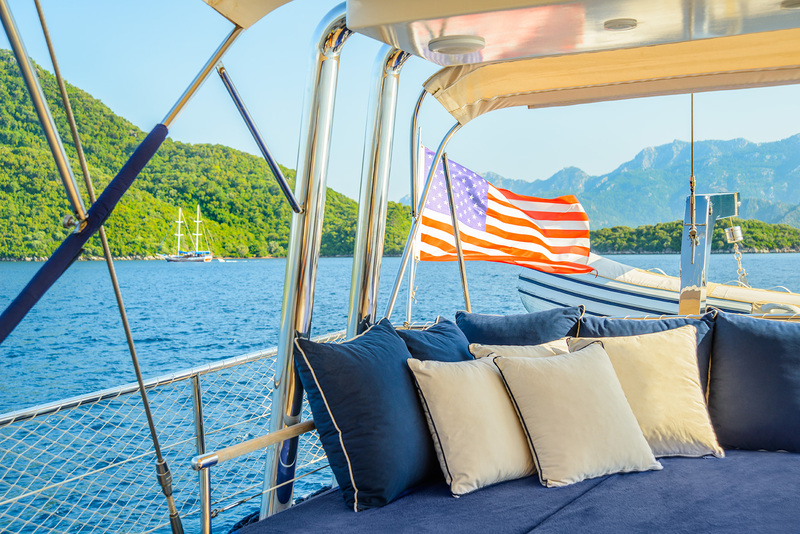 Luxury yacht SEA COMET charters throughout the Eastern Mediterranean and is based in the Greek Islands and Turkish Coast. 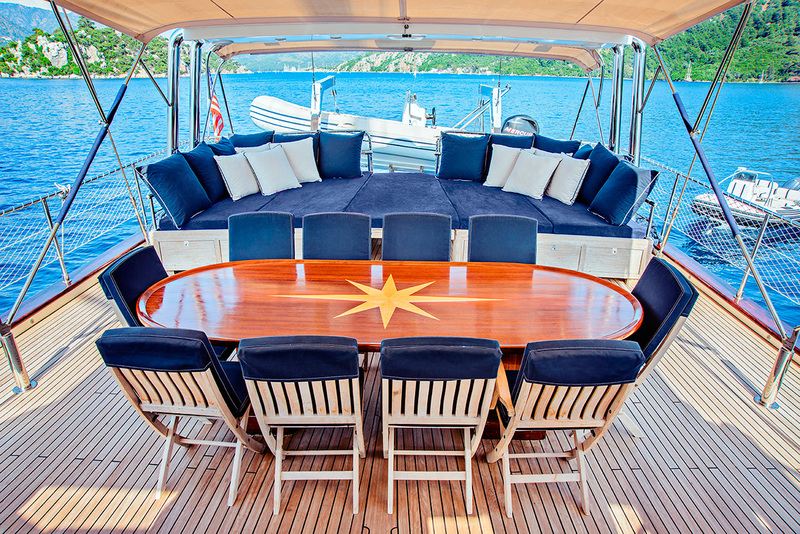 Gulet sailing yacht SEA COMET is able to sleep up to 10 guests in 5 cabins including a Master cabin located forward with a king size bed, mini bar, desk and sofa and a large aft Master cabin with king size bed, mini bar, desk and sofa. There is a VIP cabin with a Queen size bed, mini bar and desk, a Twin Guest cabin with two single beds and a Guest cabin with one Junior size bed and one single bed. 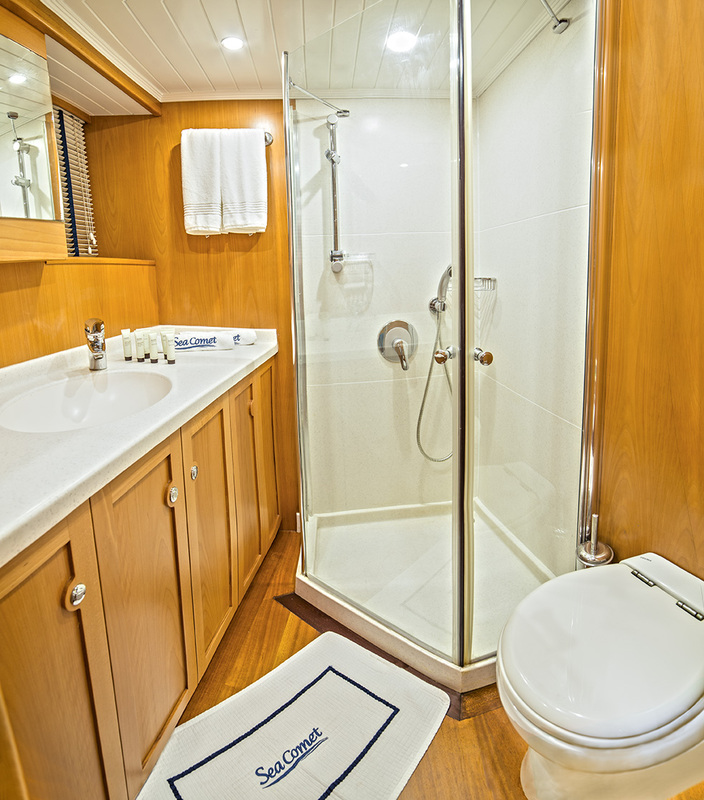 All cabins include en-suite shower and toilet, intercom, SAT phone and PHILIPS entertainment system. 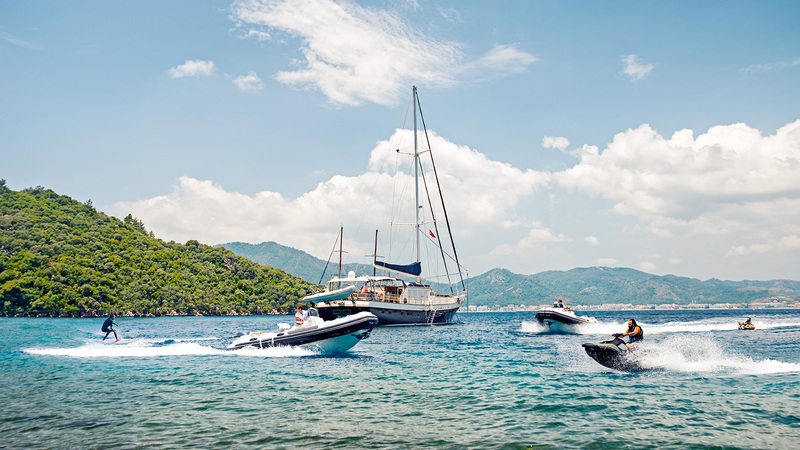 Sailing yacht SEA COMET has a range of extras onboard including these Tenders & Toys: Dingy, wake board, water ski, mono ski, 2 SUP, kayaks, snorkeling, JetSki Seado Spark 2014, SeaBob. 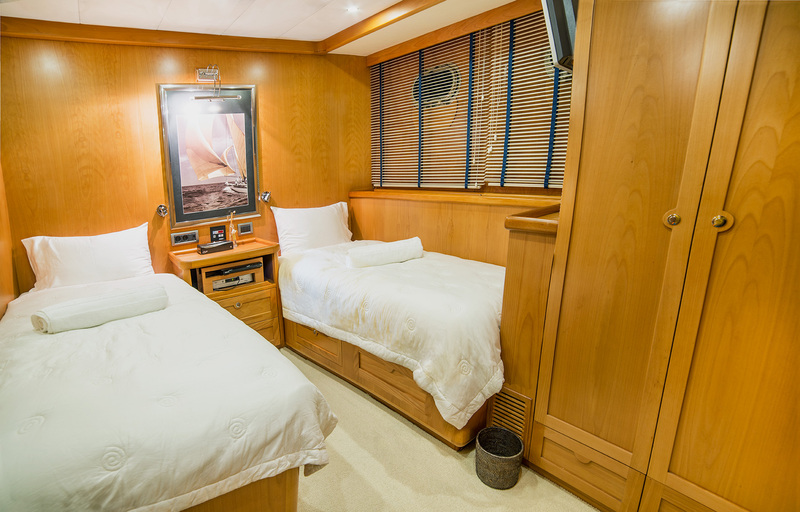 Amenities 24h A/C, TV set and sound system in each cabin, safes, minibar, TV and sound system in the salon, Movie bank, iPad music bank over wifi, exterior sound system and speakers, DVD, sunbeds. Net around yacht, life vests all sizes.